Often regarded as the same process, wheel alignment and wheel balancing are two entirely different automotive maintenance items that both affect ride and handling. 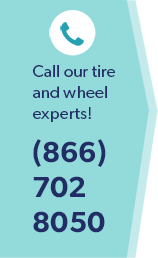 If a wheel is out of balance, it will cause a vibration that can felt in the steering wheel and/or seat, while a wheel out of alignment can cause excessive tire wear as well as steering problems. Wheel alignment consists of adjusting the wheel angles so they are perpendicular to the ground and parallel to each other. Regular wheel alignment will maximize tire life and enable a vehicle to track in a straight manner. A car that is out of alignment will pull or drift away from a straight line. In comparison, wheel balancing provides a smoother ride by minimizing tire bounce, which will in turn help improve traction and steering control as well as extend tire life. Wheels that are out of balance will develop a cupped wear pattern., since one section of the tire is heavier than the other sections when that tire is not balanced. Suspect your car is in need of wheel alignment or wheel balancing? Then bring it to Wiygul Automotive Clinic. As a AAA-approved center for auto repair and maintenance, Wiygul Automotive Clinic specializes in complete foreign and domestic repair service. Wiygul Automotive Clinic has been serving Burke, Fairfax Station, Clifton, Fairfax City, and Springfield since 1992.